Home / GST-Tally / How to Create a Perfect GST Invoice - Part 1? How to Create a Perfect GST Invoice - Part 1? 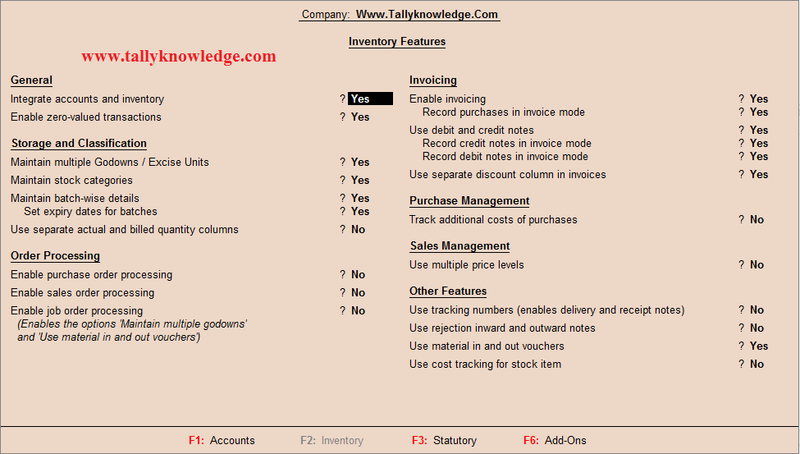 Inventory feature is very much useful for Manufacturing and Trading Industry. Through Inventory you can manage your inventory also you create BOM, UQC, Configure Alternate Units, Setup Price List, Maintain Multiple Godowns, Multiple Stock Categories and prepare your GST Returns with HSN Codes. You can select yes to option which you want to use. If you want to create Debit / Credit Note in invoicing mode then Select Yes to Record Credit/ Debit Note in Invoice mode under Invoicing. Now pass the sales voucher. 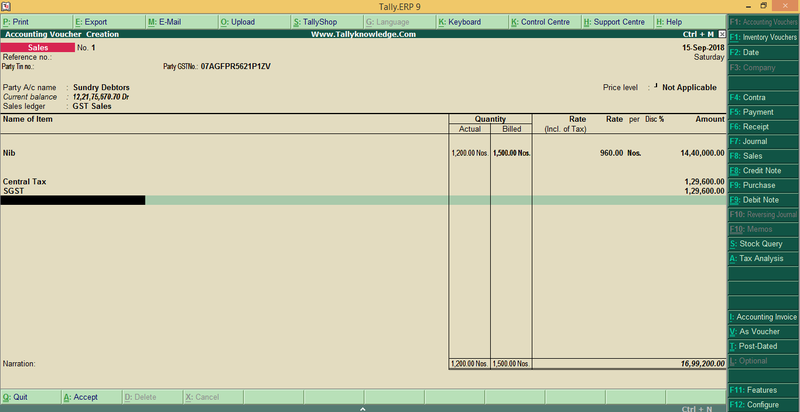 In above Invoice, you can see the details of Invoice No., buyer and consignor separate, dispatch details, details of batch with expiry date of product, Part No. of product, Quantity (Actual & Billed - GST will calculate on Billed quantity but inventory reduce actual quantity from your stock register), CGST and SGST calculated perfectly, HSN code and tax details appear. Bank details are coming, prepare and verified by authorize person details. 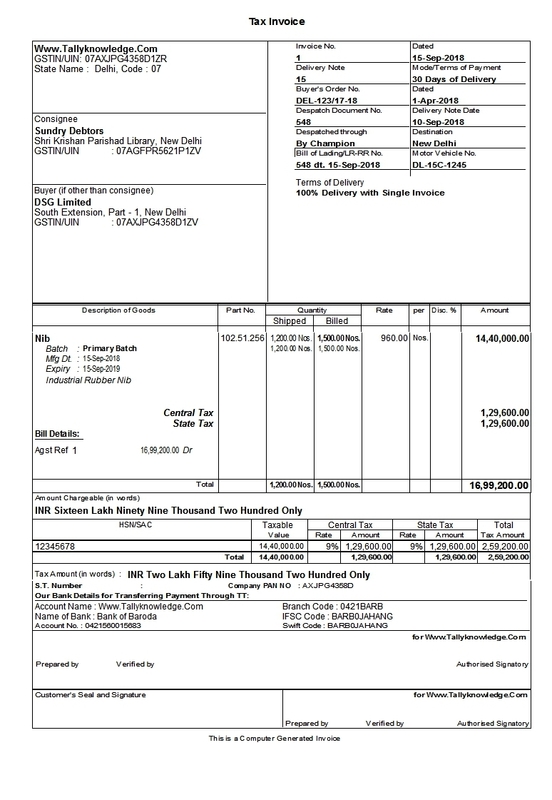 In simple words this is a complete GST invoice. Thanks for read the article. We will publish our Part - 2 on GST Invoice without Inventory. Stay connect.